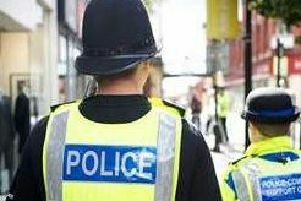 Nigel Mungur and Nicola Mungur, the two Lancashire Police officers have been sacked for gross misconduct after admitting accessing details of road crashes on the police computer and selling the details to a third party for financial gain. A husband and wife who worked as Lancashire police officers have been sacked, after they were caught unlawfully accessing accident details from police computers. PC Nigel Mungur, 38, admitted illegally accessing details of road crashes from the Lancashire Police computer system, with the intent of selling the data on to make money. His wife PC Nicola Mungur, 35, admitted illegally accessing road crash data. The pair, who were based in South division which covers Preston, Chorley, South Ribble and West Lancashire, had already pleaded guilty to the offences, but have now been sacked from Lancashire Police. Nigel Mungur pleaded guilty to misconduct in public office, conspiracy to commit misconduct in public office, money laundering and unauthorised access to a computer at Chester Crown Court on November 27. Nicola Mungur admitted a Data Protection Act offence on the same date. The couple, who live in Liverpool, were sacked immediately afterwards at a Public Special Case Hearing, for breaching standards of professional behaviour in the areas of honesty and integrity, duties and responsibilities, orders and instructions, confidentiality and discreditable conduct. The hearing at Leyland police station on March 7 found that between March 31, 2007 and April 30, 2014 while acting as a public officer, namely a police officer with Lancashire Police, Mr Mungur wilfully misconducted himself by unlawfully accessing police computer systems so as to unlawfully obtain road traffic collision logs belonging to Lancashire Police with the intent of selling the personal data thereby obtained and making a financial gain for himself. He then conspired with a third party to sell the unlawfully obtained data and commit unauthorised access to a computer. ancashire Police road traffic collision logs relating to living individuals who can be identified from the said data. This is contrary to Sections 55(1), 55(3) and 60(2) of the Data Protection Action 1988. Superintendent Sam Mackenzie, head of professional standards at Lancashire Constabulary, said: “I am always very disappointed to discover conduct such as this within Lancashire Constabulary, it undermines the great work the vast majority of our staff and officers do on a day to day basis. “There is no place for conduct of this type within the police and we are committed to dealing with such matters whenever and wherever they arise. They will be sentenced by the court later this year.